A handful of guys for each side that I would have loved to have seen in the Winter Classic Alumni game…and some news and notes! Now that the rosters for the Alumni game have become public knowledge, I wanted to take a look at some of the names that I was hoping could be a part of the game. Sure there are a number of obvious ones that have been kicked around, but these guys were important members of teams that clashed in this series over the years or have just been omitted from conversation from one reason or another! I’ll run through my list with a few thoughts on each. As I said, I am well aware of the Jagrs, Barrassos, Johanssons, and Dale Hunters of the world, these aren’t those guys… these are the ones I was hoping to get one more look at in this game. 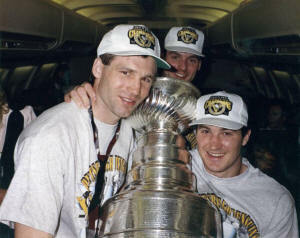 John Cullen – not only a cancer survivor, but one of my all-time favorite Penguins. 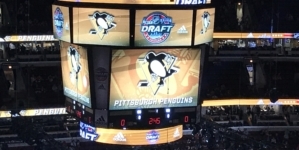 He only played three seasons in town, but his best led to him being a big piece of the trade that brought the first Stanley Cup to Pittsburgh. 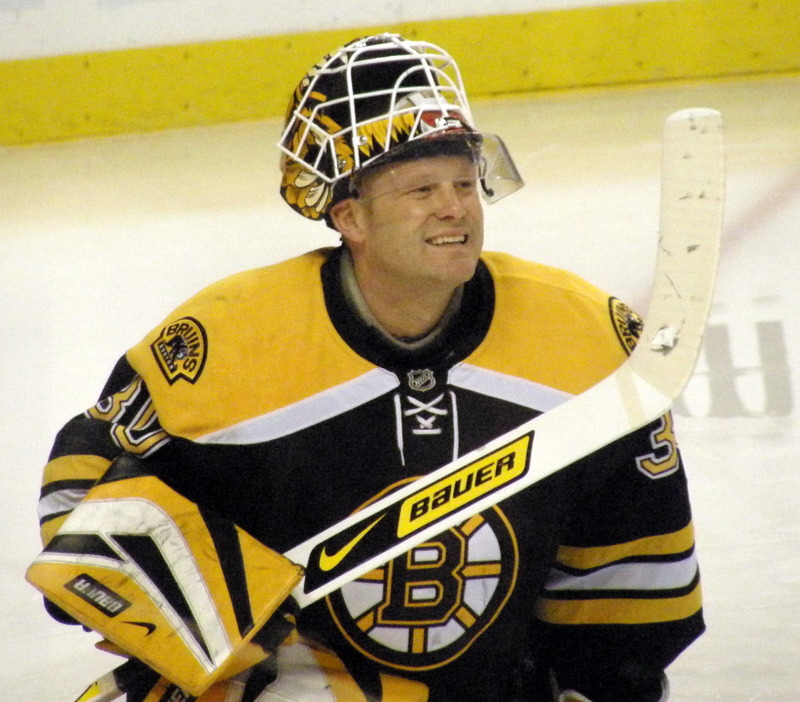 Cullen scored 75 goals and 160 assists for 235 points in his three seasons. I hated seeing him go, but no one here should forget his contributions as part of the of the option line and in helping in the building of a champion. Jim Paek – Jim Paek “of gum” as my friends and I used to call him might not have been anything special, but he was awesome for a number of reasons — the biggest being that he scored a goal in the Stanley Cup clinching game! His line with the team was 4 goals and 16 assists for 30 points and the once in a lifetime feat of being the first Korean born player to skate in an NHL game and to have his name engraved on the Stanley Cup. Ian Moran – Many folks probably hate this pick, but I was always a fan…especially when you mix in the fact that he used to let loose with these unreal yodels during games. Some of these magic moments were captured during “mic’d up” segments during televised games. If that isn’t enough for you, consider the fact that he was a good soldier for the team, played a lot of minutes and picked up 19 goals, 44 assists and 63 points over his Penguins tenure. “The Muskegon line” – a vital cog without which the Penguins might not have won their second Stanley Cup Championship. The “Muskegon line” was made up of Mike Needham, Dave Michayluk and Jock Callander, a trio of skaters from the Muskegon Lumberjacks of the IHL. The line was recalled to provide some much needed reinforcements for a team that was dealing with many an injury. None of them were ever NHL regulars but they will forever be remembered when the greatest stories in Penguins history are told. Honorable mention: Rick Kehoe, Mike Bullard, Joe Mullen, Roberto Romano and the great Peter Skudra! Scott Stevens – yes, that Scott Stevens… folks often forget that he spent eight seasons toiling in Washington because he made his mark in New Jersey after a stop in St. Louis. However this 3-time Stanley Cup Champion, 13-time All Star and Conn Smythe winner notched 98 goals, 331 assists, 429 points and 1,628 PIMs during his time in Washington. A case could also be made that the leadership skills and desire to win that defined his Jersey years was forged during that time in our nation’s capitol. Steve Konowalchuk – Konowalchuk was a long time Capital and one who I grew to appreciate. He was always so good defensively, great short handed and was full of heart and soul. Though he was on the “other” team, it was easy to appreciate what he brought to the table and how much you wished he could bring that element to your team. Keith Jones – I hated Keith Jones…I mean with a passion. He just had a way about him that made you want to slap the taste out of his mouth and I love players like that. Not only did he seemingly always find a way to burn the Birds, but he antagonized them and everyone else in the league on every shift. It wasn’t until I read his book that I learned to appreciate his entire story. He has since become one of my favorite broadcasters. Too bad his knees probably wouldn’t allow him to participate in this one. 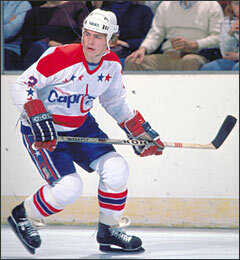 Jonesy finished his Caps career with 62 goals, 65 assists, 127 points and 454 PIMs. Kevin Hatcher – Hatcher is another of the guys that could have skated with either team, though he spent a huge chunk of his career with the Capitals. He was one of the best offensive defensemen in the league and was a power play specialist. Hatcher was a huge body, who looked like an iron giant, though he didn’t always play like one. He never really did get physical enough, but I still would have loved to have seen him come back. He notched 426 points during his time in Washington. 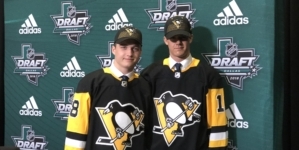 Mike Ridley – I could never put my finger on why I disliked Mike Ridley, but it probably had something to do with him scoring plenty of goals against the Pens while I was growing up. 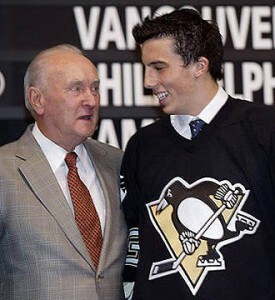 Ridley was a big part of many of the teams that the Penguins met in the playoffs and always found a way to impose his will…be it with a goal, a stick in the ribs etc. His name was alongside Pivonka’s on my original wish list. Honorable mentions: Jim Hrvnak (great name), Olaf Kolzig, Mike Liut, Jim Carey and Jim Shoenfeld behind the bench! Who would you all have liked to see in the game… beside the obvious big names of course? As I tweeted earlier, Dustin Jeffrey has been re-assigned to Wilkes Barre-Scranton. Definitely not a surprise, especially considering that the team doesn’t play again until Monday. 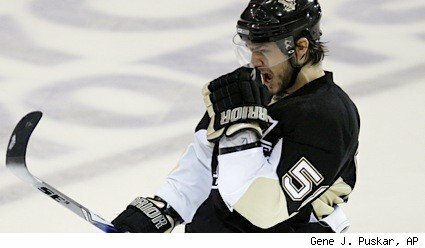 It isn’t Shero’s style to let a youngster wallow when he could be practice and playing with the Baby Pens. He also isn’t shy about shuttling a guy back and forth, so don’t take some speculation that Kunitz is guaranteed for Monday to be gospel. For what it’s worth, I have been impressed with Jeffrey during his call-up. Especially the first two games. 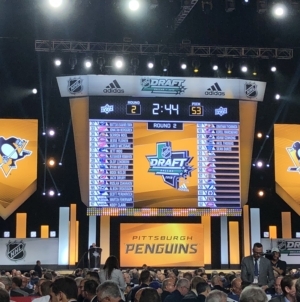 First off, Bruce Boudreau seems to be losing control… The first words out of his mouth involved the HBO cameras and the Pittsburgh Penguins… which is never the sign of a focused coach or a focused group. Neither the cameras of the Capitals came up during any of the Penguins scenes… just saying. Boudreau doesn’t seem to do any coaching. He does a lot of cussing, a lot of insulting his team’s manhood and a lot of cussing… wait, I said that already! But you get my drift… it just seems that the team and BB are waiting for their talent to take over again, something that they swore they wouldn’t do after losing to the Canadiens last year. 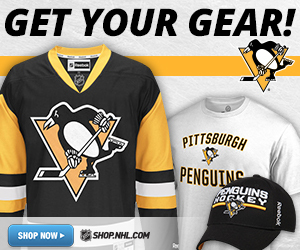 The Penguins seem like a loose bunch who really enjoys being around one another… the Caps? Not so much. The tension in their room was so think you could cut it with a knife. There are more than a few laugh out loud moments… I am riveted and can’t wait for next week. The series going to be a must buy when and if it becomes available. 1. MAF, we all know where he is. 2. Ryan Stone is playing for the Abbotsford Heat, the AHL affiliate of the Calgary Flames. 3. 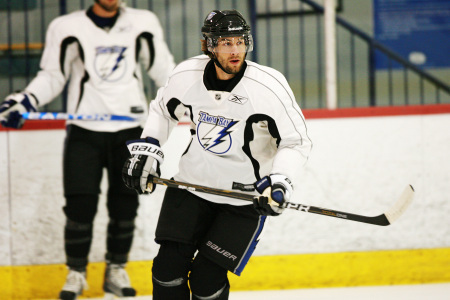 Jonathan Filewich is playing in the KHL – didn’t accept his tender is St. Louis. 3. Dan Carcillo is in Philly. 4.Bissonnette is in Phoenix. 5. Evgeny Isakov is out of hockey. 6. Lukas Bolf is playing in Czech for Sparta Praha. 7. Andy Chiodo is playing for the Elmira Jackals in the ECHL. 7. 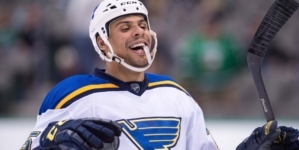 Stephen Dixon is playing in the KHL for Khabarovsk Amur. 8. Joe Jensen is playing in Italy for Brunico SG. 9. Matt Moulson is coming into his own with the Islanders. Despres, who is currently playing for the Saint John Sea Dogs of the Quebec Major Junior Hockey League (QMJHL), has 26 points (9G-17A) and a plus-19 rating through 22 games. He was one of the Penguins’ final roster cuts during the 2010 training camp. In 2009-10, Despres set career highs in goals (9), assists (38), points (47) and plus-minus (+26) in 63 games with the Sea Dogs. He added 19 points (2G-17A) in 21 playoff games. Here is the Kris Letang audio that I promised last night. I was able to catch up with Letang following last night’s loss and he was in decent spirits considering the game’s outcome. He felt that having a few days off would be good for the team and that the days off would help several convalescing members of the team get healthy. How do you leave Bobby Carpenter off that list? Caps: Pivonka, Kristich, and Donnie Beaupre not necessarily him, but his mask. His mask with the Capitol building was sweet. Love the John Cullen pick, hated to see him go, but the return was well worth it. Probably a more “obvious” pick, but i’d love to see Rick Tocchet suit up. Wild card could play for either team: NYJER MORGAN! He played junior hockey and played baseball in both Pittsburgh and Washington.